Peter King:Eagles 20, Bears 13. “For the Eagles to win, Mike Vick is going to have to be Mike Vick.” So true. The Eagles NEVER win when Vick is Carol Channing. Eight of 10 ESPN Experts:Eagles. 82 percent Of Yahoo! Users: Eagles. Me: It’s amazing that the Bears are 7-3 (same record as Philly) when they turn the ball over enough to drag down entire commodities markets. But that’s how good the Bears defense has been of late. Like I said earlier this week, this defense is custom built to defend Michael Vick. They’ll take away the big play and limit Vick’s ability to run freely around the field. 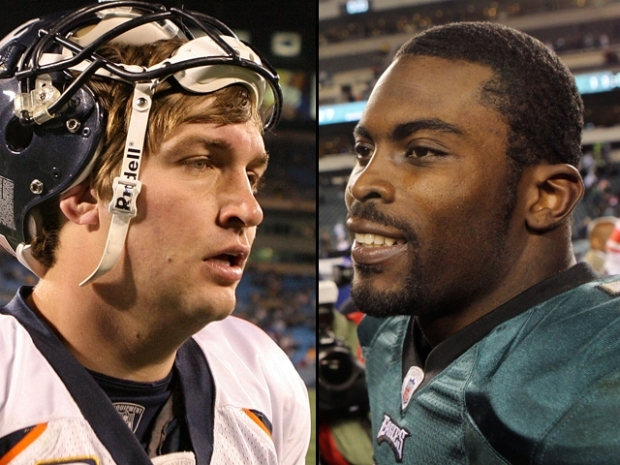 To beat Chicago, Vick will have to settle back and be content to pick the Bears apart. But he’s never been that patient of a QB, and I don’t think he will be on Sunday. And I don’t like the road favorite tag. It always spells certain doom. BEARS 16, EAGLES 6. The time is yours in the comments.